At least five men have been arrested in the last two years and convicted for spying on behalf of Russia. Their cases reveal how the Russian secret service, the FSB, operates across the border into Estonia — a country that has a long and complicated history with its eastern neighbor, and is now a key member of both NATO and the EU. Each of the five men was a known smuggler, of anything from people to cigarettes, and the FSB was able to force them to work undercover in exchange for avoiding lengthy sentences in Russian prisons. Once they had been recruited, they were tasked with everything from passing on information about Estonian military bases to details about patrols run by guards manning the border. Estonia arrested a host of high-ranking officials between 2008 and 2013 who had been spying for Russia, including two KAPO officers and the country’s National Security Authority, Herman Simm. But this tactic, of seeking smaller level spies, is new and first revealed in detail here. The revelation will likely feed concerns of Russian meddling in Estonia, which already grew in the wake of Russia’s seizure of Crimea from Ukraine in 2014, marking a new stage in Russia’s approach to what it still considers its backyard. Estonia is a small country, numbering just 1.3 million people, but a proven testing ground for Kremlin strategy. What happens there eventually reaches the West. Well before the Russian security services hacked US institutions, they were suspected of targeting Estonia, which was hit by a wave of debilitating cyber attacks to protest Estonian plans to move a Soviet-era monument back in 2007. For years, Estonia operated under the belief it had US backing in the face of Russian aggression. Then president Barack Obama travelled to the capital Tallinn in the wake of Crimea to assure the Baltic countries that the US, and NATO, were on their side. “You lost your independence once before. With NATO, you will never lose it again,” he said. Now, with Obama gone and replaced by a president under investigation for his suspected ties to Russia and marred by ambiguous statements about his commitment to collective defense, the landscape has changed, but Russian attempts have not. Of the five, four lived in the Russian city of Pskov, near the border with Estonia, and have both Russian as well as Estonian citizenship. Just one, who lived in Estonia, lacked Estonian citizenship, one of hundreds of thousands of Russian speakers whose families moved to the country when it was part of the Soviet Union, and who were rendered stateless when the country regained independence in 1991. All five men signed a written agreement of cooperation with the FSB and got cash for the tasks they carried out, according to Toots. The payment may have been as little as 2,000 rubles, or $35. But they didn’t do it for the money. The choice these men faced was simple: either go to prison in Russia or remain free and boost their criminal career with the knowledge that Russian border guards would turn a blind eye to their smuggling and they would also get some extra money from the FSB. This is a similar tactic the FSB has been known to use with other populations, including hackers. The effort appears highly organized, according to people involved in the investigations. Three different investigators from two institutions — the Police and Border Guard Board and from the Tax and Custom Board, which investigates smuggling — told that they hadn’t seen any effort from the Russian side to stop and catch smugglers along the border for years now. “I am certain that it isn’t only buying off one or two Russian border guards. The links must go much higher,” one of the sources said. There is also little if any risk at all for the FSB when hiring the smugglers. In Estonia they are known as prügikala, or “trash-fish” — they are disposable, too small to matter. If any of them is discovered, the FSB doesn’t lose a valuable asset that they spent years training, as they do with officers who work their way up through the system. And they can always hire a replacement. There are dozens of smuggling gangs operating along the 80 mile border between Estonia and Russia. It was 1:15pm on an unusually hot Friday in the late spring of 2014 when he decided to pull his car over near a team of border guards patrolling a crossroad near the border. “I had held a party for fellow villagers last night. After a breakfast and shower I felt sober. I only wanted to double-check if I was ok to drive,” Romanov told BuzzFeedNews/Re:Baltica, reiterating what he had told investigators about why he pulled over. To this day, Romanov isn’t quite sure why he pulled over and kicks himself for it. Romanov was an experienced smuggler — his main business was smuggling tobacco and he was very good at it. He led a gang of 10 people and gave each of them a specific task. His right hand man, a smuggler named Vladimir, was responsible for buying the cigarettes in Russia and arranging transport to the border. Three other men, including Romanov’s 19-year-old son, Mihhail, stood guard to detect approaching border guards. There were drivers to take the contraband away and others who were positioned a couple of miles ahead to provide intelligence. Romanov himself commissioned the buyers in Estonia. Romanov was recruited by the FSB back in 1994, around the time Russia’s war in Chechnya was about to break out, Toots said. In an interview with BuzzFeedNews/Re:Baltica, Romanov said he was buying used Western cars from Germany and Finland at the time and selling them in Chechnya, a mainly Muslim republic that would fight two separatist wars in the wake of the Soviet Union’s collapse. At the time, Russians needed help with local knowledge. Romanov boasted of being close friends with the Chechen rebel leader Dzhokhar Dudayev at the time, though it could not be independently verified, saying he knew the general well through the general’s daughter Dana — Dudayev had served in the Soviet military in Estonia in the the late 80s and early 90s. Now, Dudayev was fighting on the other side, with the Chechens against Russia. When war broke out in Chechnya, Romanov returned to Estonia — but continued working for the FSB. He carried out tasks for the FSB as well as for FSB’s border intelligence unit, according to Toots. He gathered information about Estonian border guard tactics, their patrol times and locations of surveillance cameras, Toots said. 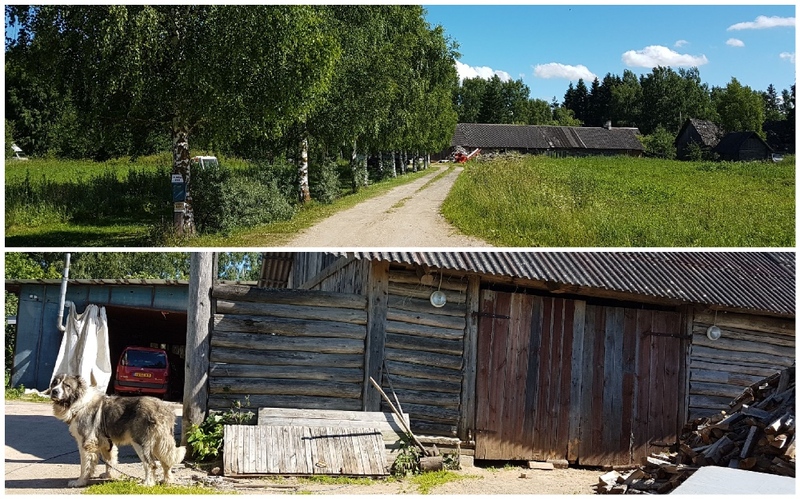 He was also tasked with gathering information about military and security structures in southeastern Estonia, like the Sänna base of the Estonian Defence League, which is similar to the US National Guard, and the Kuperjanov Infantry Battalion base near the town of Võru. He also provided the FSB with information about officials in the various Estonian security agencies, including the police, the border guards, and the KAPO — including their habits, interests and weaknesses. Smuggling + spying = ? The border guards didn’t arrest Romanov for drunk driving that spring day, though he was forced to give them a statement. But they did, nearly a year after that day, decide to go after his smuggling operation. The team chose the night of February 10, 2015 to make its move. Romanov’s gang was preparing for another smuggling run across the border. The temperature had dropped as low as 14 degrees Fahrenheit, the ground was covered in snow and a bone-chilling wind was blowing. Someone stood watch at Romanov’s house, which was off the only road to the border. Closer to the border, the rest of the team was prepping in rented sheds. Finally, the team of officers made its move, surprising Romanov and his cohorts when they were on their snowmobiles, driving tracks through the snow to make it harder for anyone to trace them. Investigators were surprised by what they found. When they were caught, the investigators found they were carrying a sophisticated cache of surveillance and smuggling equipment, from camouflage suits and masks to specially-built rope harnesses to make it easier to move the heavy cigarette cases, night-vision goggles, thermal cameras, radio jammers and cameras that had been set up on trees to warn them when the border patrol was approaching. One night vision device was a military one, with its registration numbers scraped away. “You can’t buy things like that anywhere in Estonia,” one investigator said. The team arrested Romanov immediately and he quickly admitted to running smuggling operations. Investigators proved that Romanov’s group had crossed the border illegally 13 times, smuggling more than 2.5 million cheap untaxed cigarettes and earning 80,000 euros (around $95,000). A customs officer involved in the investigation said that Romanov was ecstatic when he realized what investigators would argue — the officer said he “clapped with joy” — the real size of his business had, in fact, been much larger. As the court case went underway, Romanov decided to take a plea deal. On May 26, he was convicted of smuggling and sentenced to five years in prison. The next month, the KAPO sent a letter to the judge asking permission to interrogate Romanov on another criminal investigation. It’s unclear exactly when the KAPO realized that Romanov was more than he seemed, since spying investigations are considered state secrets in Estonia. But they began to interrogate him about his connections to the FSB. He started talking during his second interrogation. On October 22, 2015, he found himself in court again — convicted of spying and sentenced to four years and 10 months in prison. The sentence was reduced to 22 months in prison, but Romanov had to agree to pay regular visits to a probation officer. 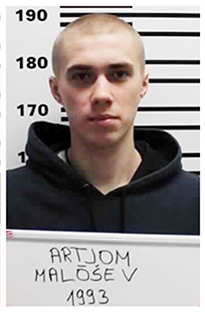 Another, Aleksandr Rudnev, had barely turned 21 when he was arrested in March 2015. The FSB had also tasked him with gathering information about military exercises and the movement of Estonian army vehicles, according to information released by the KAPO. Two days after Obama gave his speech in Tallinn, Russian special forces kidnapped Kohver, a KAPO officer who was on duty on the border. The sting operation took only a couple of minutes. The Russians lobbed smoke grenades and used other methods to disorientate Kohver. 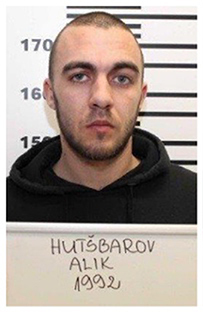 The FSB then dragged him over the border to Russia, according to Estonian officials. Russia denies to this day that he was captured on Estonian soil. Kohver was held in detention at Moscow’s notorious Lefortovo prison and charged with espionage. Despite diplomatic pressure from the European Union and the United States, he was sentenced to 15 years in prison for espionage. 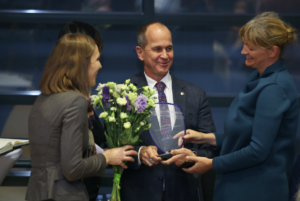 Only a year later, on September 26, 2015 was Kohver able to return to Estonia after a classic prisoner exchange held on a bridge at the Estonia-Russia border. BuzzFeedNews/Re:Baltica can now reveal that the man who lured Kohver into a trap on the border was a small-time smuggler named Maksim Gruzdev, according to Toots. Kohver was carrying a Taurus service pistol, as well as 5000 euros in cash and a recording device when he was kidnapped. According to Toots, Gruzdev had promised to put Kohver in touch with a third person who could provide information on cross-border corruption. The cash was for him. Officials from KAPO caught Gruzdev handing someone a petty bribe in the small town of Põlva in August 2015. But Kohver was still in prison in Russia, so investigators decided to wait to arrest him. They couldn’t risk hurting behind the scenes diplomatic negotiations to swap him for Aleksei Dressen, a KAPO officer who had been found guilty of treason for working with the FSB. The long awaited prisoner exchange finally took place on September 26, 2015. Kohver was swapped for Aleksei Dressen, who had been imprisoned in Estonia in 2012 on charges of spying for Moscow. 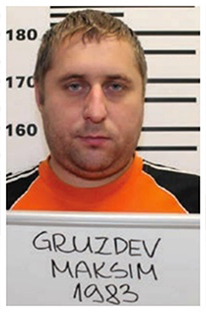 A week later, on Friday, KAPO investigators arrested Maksim Gruzdev. Out of the five spies, he is the only one still serving time in prison. He is scheduled to be released this fall. BuzzFeedNews/Re:Baltica sent a request to interview Gruzdev in prison, but Gruzdev didn’t reply. With the exception of Romanov, all five men were Russian nationals and also carried Estonian passports, which made it easier for them to operate in both countries. They weren’t born with those passports — indeed they only got them in recent years. And that’s because of a law adopted after the fall of the Soviet Union that granted citizenship to anyone who had Estonian citizenship before the country was occupied and absorbed into the Soviet Union during World War II. Before the occupation, the region around Pechory, which is currently in Russia, was a part of Estonia. And that’s where the spies come from. According to the interior ministry, the four men only applied for their Estonian passports recently. Artem Maloshev, another of the spies, who was arrested in May 2016, got his passport in August 2013. By then, he had been on the FSB’s payroll for two years, according to the KAPO. Two others — Alik Hutshbarov and Aleksandr Rudnev — applied for passports during the summer of 2006 and started their smuggling career a few years later. State prosecutor Inna Ombler – who was in charge of all five spy investigations – called the men’s use of the law citizenship of comfort. “Sometimes my heart aches that these spies could take Estonian passports so easily,” Perling said. “We have ourselves opened a door for people like them to enter our country and start gathering intelligence here,” she said. The attorney general Lavly Perling said it would have been easier to just expel the men once they were caught, but that taking them to court was important. It’s hard to say how many such small time smugglers-turned-spies are still out there. Toots, the deputy KAPO chief, said he was confident new arrests would follow in the future. It is pure law of probability. 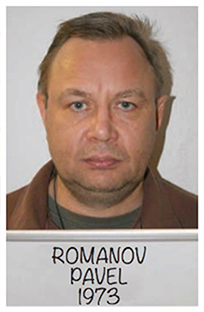 Romanov was released from prison on December 10 after serving 22 months of his five year sentence. Early release is a common practice in Estonia, and Romanov will not have to serve the rest of his sentence, provided he commits no new crime. 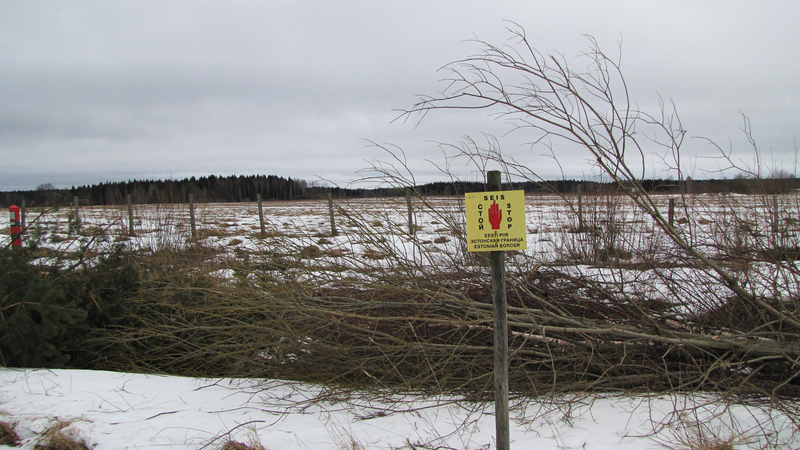 Romanov moved back to his house, halfway between the Russian border and the first border guard station in Estonia. He lives there with his wife, Jelena, who he married in prison. His previous wife, Lada, died of cancer four years ago. The house sits at the end of a gravel road and an alley of tall birch trees and is rundown. The yard was full of junk — old cars, a machine for cutting firewood. There were men working on the cars, and a big dog on a leash guarding the place. The strawberries are for eating — but they are also for selling, and bring the family some extra income in the summer. Beyond that, Romanov gets 97 euros in social benefits and 202 euros in pension because of an injury he received when he was a boxer in his younger days. He also works unofficial side jobs. He owns a small truck, and local people occasionally order transport services from him. His phone is constantly ringing (to the tune from the 80s TV series Airwolf, which was a big hit in Estonia after the fall of the Soviet Union). One of the callers was a man from Russia who had come to buy a couple of scrap engines. Then there are the businesses that have stalled, because of Romanov’s situation. “I have a refurbishing company in the Netherlands and a company that builds log houses in Russia,” he said. “I wouldn’t need state aid but I can’t get out of the country to manage the companies.” He is not allowed to leave the country for another 3 years, and he also needs to show up for regular meetings with his probation supervisor. He refused to allow himself to be photographed. 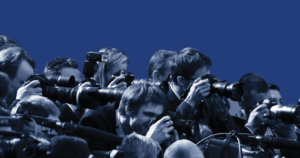 This story is the part of the series supported by the first EU-financed fund for investigative journalism IJ4EU. This investigation was co-produced by BuzzFeedNews and Re:Baltica.